The Senate tied 50-50 on its vote to open the debate on the healthcare bill, and Vice President Mike Pence stepped in to break the tie. As such, they’ll now begin debate on a bill to repeal major provisions of Obamacare, and perhaps to pass their own bill—if such a bill ever materializes. This was only made possible by John McCain’s willingness to come in and cast an affirmative vote despite his brain cancer diagnosis. It’s important to recognize that while this is an important step towards repealing Obamacare, there’s still a long way to go. This vote merely opens the floor for debating, amending and then voting on new legislation that could repeal Obamacare. 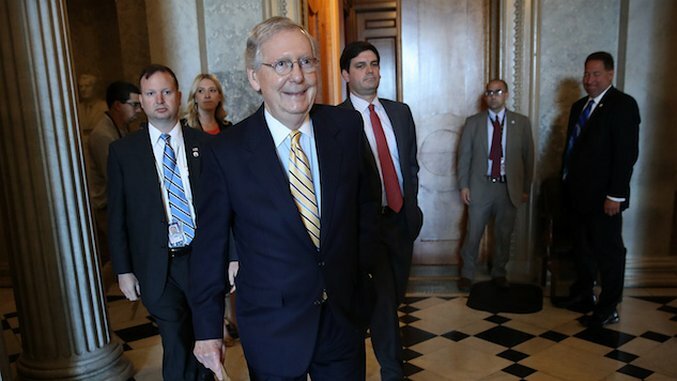 There still hasn’t been much indication that Republicans are united enough to come up with a bill that’ll appeal to enough Senators to actually make it out of the Senate. Only time will tell where this all leads, but it’s a concrete victory for Republicans on healthcare. Thirty million Americans hope it will be their last.